We set off on Friday night to visit my sister and her family in Kansas for the holidays. After a blown tire forced us to stay overnight a little closer to home than we expected, we set off the next day refreshed and eager to hit the road. We made it there in almost no time, despite the wintry weather and all the mini pit-stops we had to make for this little gal. Traveling in a car with Avienne wasn't nearly as bad as I thought it would be, but I don't think we'll be doing it again anytime soon. 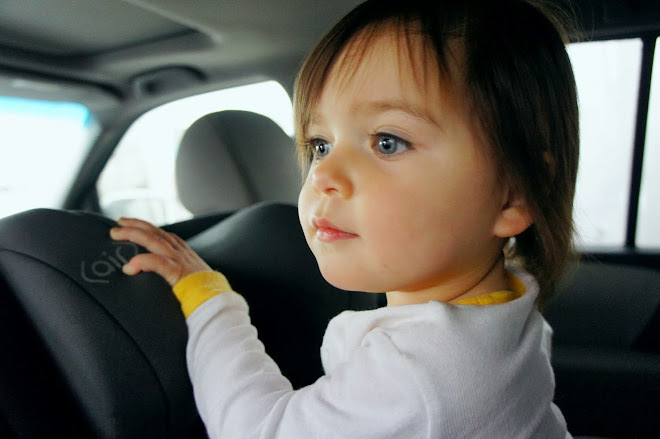 Having an active baby strapped to a carseat for a few hours at a time seems a bit like torture, so if we do decide to do some road-tripping again, I think we'll wait until she's a little older and at least big enough to sit facing forward.